While most of the people enjoy crowded places, I tend to stay away to the city centre when everyone is heading there. On Saturday night, due to the ING Night Marathon in the streets around ours, we could not move our car. Having to decide in which direction we should walk for dinner, I definitely preferred going toward Merl than to the very centre. After discovering couple of restaurants in the area were exceptionally closed due to the marathon, we ended up at Wayoxi Sushi-Bar, located on route de Longwy, just before the gas stations, we booked a table at 9 pm and were glad to discover the marathon was passing just in front so we could still enjoy it. 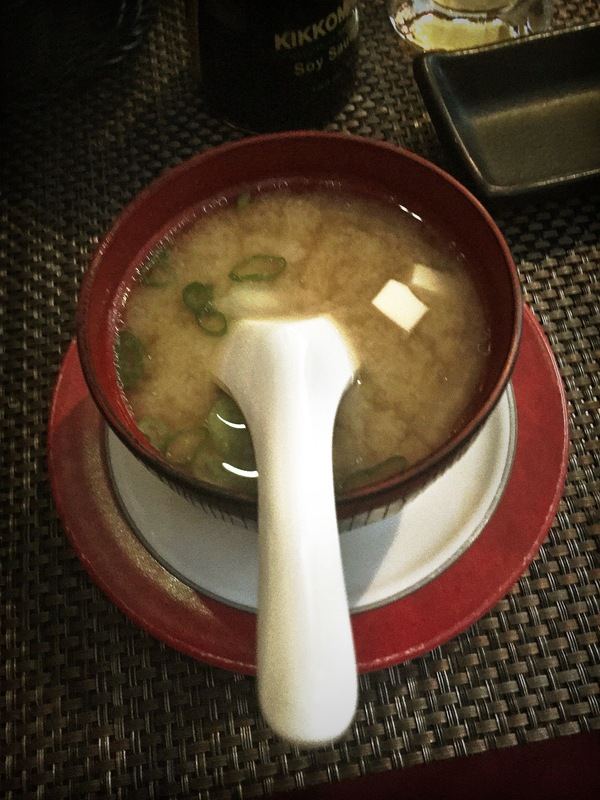 I have been to Wayoxi only once for lunch ages ago – I was still working in Merl – and my memories were confused. The location is very cosy and you have a all-you-can-eat menu for dinner for 22 Euro per person, with pieces left on the table to be counted for a further 1 euro each. 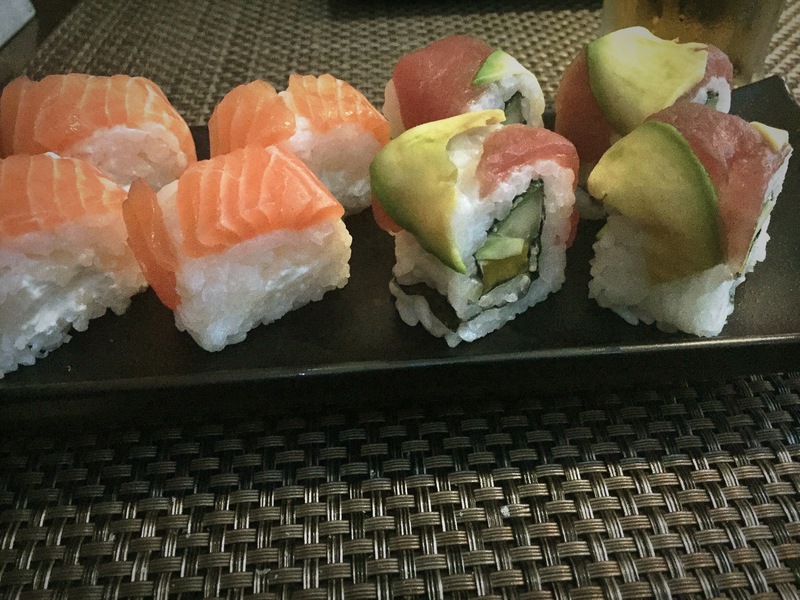 We had recently a very bad experience on a all-you-can-eat sushi in town, so we were a bit worried and we started ordering first only a soup and a salad and four pieces sushi – they end up being very well prepared, fresh, right quantity of rice and lovely presentation. 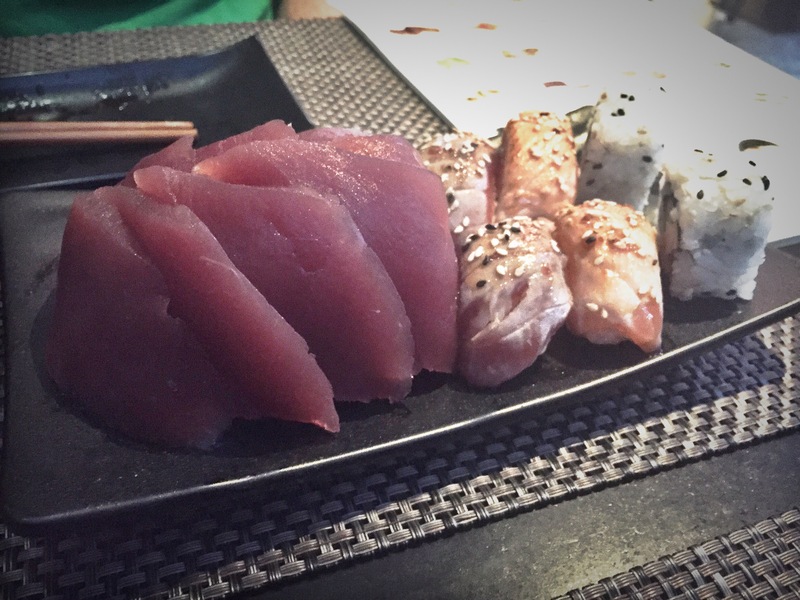 On the second order we went big (I had several California, tartare and spring rolls, while hubby ordered as well a portion of tuna sashimi – that was 10 euro extra). We were so full, we concluded with the house dessert (coconut milk and cream with fruit and tapioca bubbles). Pictures and impressions to follow. Sushi was very fresh and well prepared. Nothing too fancy or alternative, but some very classic food prepared in an attentive way. Location is simple but lovely and service nice as well. We were offered shrimps chips and edadame as welcome and we ordered at the end some digestive (Japanese sake and Averna) that were offered as well. 22 euro (excluding drinks) for a good sushi dinner is definitely on the cheap side, but the quality is not disappointing. The menu choice is very limited and it is just sushi/sashimi. 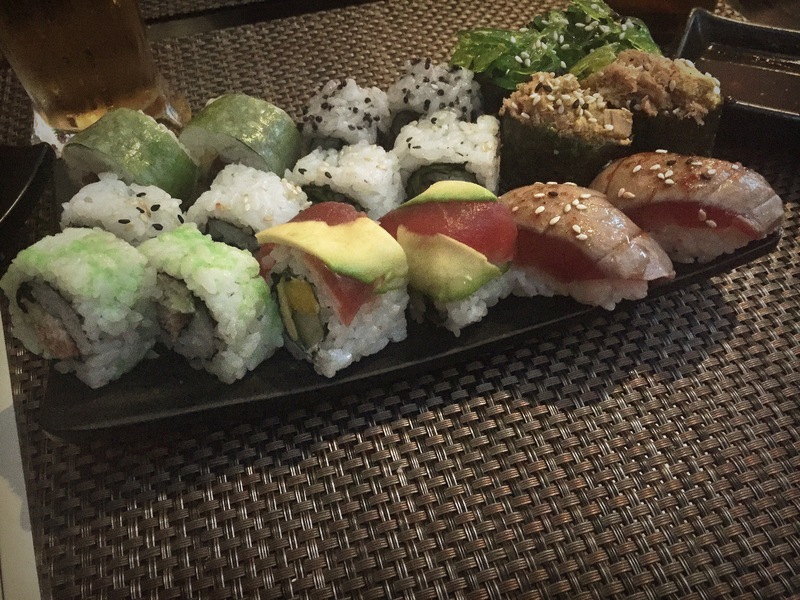 No alternatives for “non-sushi” eaters, but still vegetarian and cooked-fish/meat sushi options. Wayoxi Sushi-Bar is not a sophisticated place but definitely a quiet, cosy one perfect for a date or an evening with pals in Merl area, nice ambience and budget friendly. Recommended on my side.